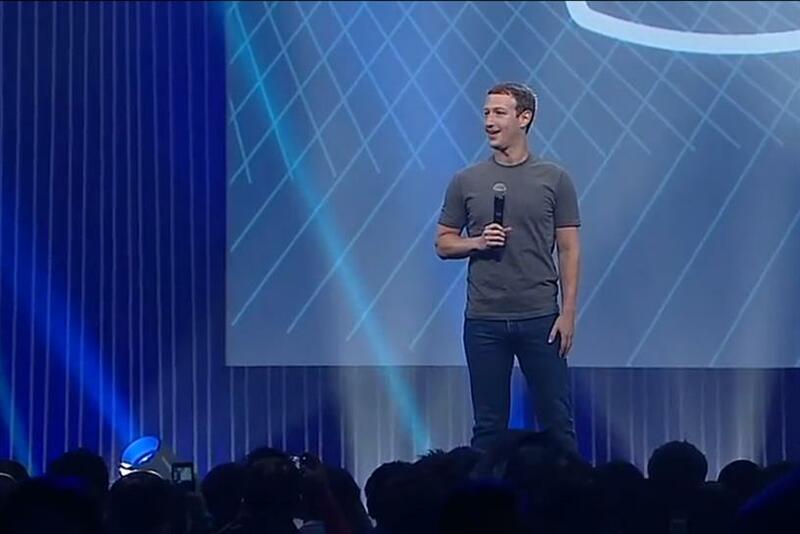 Facebook CEO Mark Zuckerberg at F8. SAN FRANCISCO — Facebook CEO Mark Zuckerberg on Wednesday kicked off F8, the annual Facebook Developer Conference. While this conference is geared toward the developer community with less focus on product news, some interesting announcements about new features may have significant content implications for brands and publishers. Say it with a GIF. Everyone on the internet loves GIFs. Now that Facebook is opening its Messenger chat app to third-party integrations, brands and publishers can push content directly to their followers to share GIFs and animated content. More than 40 companies, including ESPN, Imgur and The Weather Channel have developed apps for Messenger. Animated GIFs are a great way to share short-form, image-based content, but they also have unique utility as a messaging format. Not just limited to memes, the multi-frame format allows for serious content, such as replays, how-tos, and short live action. Exciting video updates. As part of a greater shift to improve the video experience, Facebook finally introduced a player that can be embedded onto other sites. Users can share a video hosted on Facebook by simply copying and pasting the link directly onto any other site. This makes posting a short clip on your blog or website much easier and more straightforward. Facebook will also begin to support 360-degree "spherical videos" (similar to navigating Street View in Google Maps) in both News Feed and Oculus Rift. Users will be able to scroll through the video while moving the mouse around the window — a big boon for brands that want to create immersive virtual-reality experiences beyond the constraints of regular video. It’s exciting to think about the creative storytelling potential a well-executed spherical video can offer brands and publishers. The Video API is enhanced with useful new controls like the ability to restrict audiences by age, gender or location and to set an expiration date on videos. For comments, a new plug-in will allow conversations that occur on news sites (such as Buzzfeed or Huffington Post) to carry over seamlessly onto Facebook. Custom thumbnails for videos are also a bonus, finally allowing you to choose the best frame to represent the content — a much-needed function for community managers everywhere. Live Chat amplified for businesses and customers. Thanks to "Messenger Business," Facebook users can now communicate with businesses directly within the Messenger app. This feature is part of the company’s launch of "Messenger Platform" which will open its API to third-party developers. The new functionality allows users to shop straight through Messenger, taking the live-chat experience up a notch by allowing purchases to be made directly within the chat thread. For brands, this means that Messenger can be integrated as a new customer-service channel, providing a complete shopping experience with purchase information, shipment trackers, receipt review and even suggestions for new or related products. For customers, brands are meeting you where you are and it will be interesting to see the kind of messaging and product curation opportunities that arise, including post-purchase customer care. Facebook said that Messenger Business will launch with a few partners, although it has not been specified when the service will officially roll out this feature. Sunita Ho is senior content strategist with Huge.